What are the long-term aims of drug policy in Spain? How are these aims to be achieved? How is drug policy coordinated at national level? What substances and activities does Spain control under its drug laws? What are the penalties for offences? How are new psychoactive substances controlled? How many people in Spain have ever used drugs? What drugs have they used? How many have used drugs recently? How many are using drugs in highly risky ways? What are the main infectious diseases linked to drug injecting in Spain? How many died of drug overdose in the last year? How many drug-related medical emergencies occurred? What part does prevention play in Spain's drug strategy. What are the main prevention approaches used in the country and who do they target? How does Spain measure in terms of provision of needle and syringe programmes, peer naloxone programmes, supervised drug consumption rooms and heroin-assisted treatment. How is the drug treatment system organised in Spain? How is it financed? How is the provision of treatment divided between inpatient and outpatient settings? Which authorities are responsible for prison health in Spain? What forms of drug treatment and harm reduction are provided in prisons, and how widely? What is done in Spain to ensure that the prevention and treatment interventions used are effective and provide a good return on public expenditure? In which areas of study is drug-related research carried out in Spain? How is this research funded? Are any types of research emphasised in the national drug strategy? What is known about drug supply and trafficking in Spain? How pure or strong are the drugs available? What do they cost? What are the main aims of supply reduction efforts? The Spanish National Strategy on Addictions (2017-24) addresses illicit drugs, new psychoactive substances, other substances (alcohol, tobacco and medicines) and behavioural addiction. The strategy’s objectives include delaying the age of first contact with dependence-producing substances and behaviours, reducing their availability and prevalence, and reducing associated harms. The strategy is built around two basic goals, which are developed in several sub-goals. The first goal seeks to achieve a healthier and better informed society by diminishing drug demand and the prevalence of addictions as a whole. This includes prevention and risk reduction; integrated and multidisciplinary care; harm reduction; and social integration. The second goal aims to achieve a safer society by diminishing drug supply and controlling those activities that could lead to addiction. This includes supply reduction, review of legislation, and judicial and law enforcement cooperation at both national and international levels. The strategy will be implemented through two consecutive four-year action plans, for 2018-20 and 2020-24. Like other European countries, Spain evaluates its drug policy and strategy using ongoing indicator monitoring and specific research projects. A mixed-method final internal evaluation of the National Strategy on Drugs (2000-08) was completed in 2008 and examined the strategy’s implementation. In 2012, an internal evaluation of the 2009-12 action plan and, in 2014, a mid-term evaluation of the 2013-16 action plan were completed by the Government Delegation for the National Plan on Drugs. A final evaluation of the 2013-16 action plan and final multi-criterion internal and external evaluations of the National Strategy on Drugs (2009-16) were completed in 2017 in the context of the development of the new strategy. At the national level, the Spanish Council for Drug Addiction and Other Addictions is responsible for inter-sectorial collaboration. It seeks to improve the development and implementation of policies and actions related to illicit drug and other addictions. The Government Delegation for the National Plan on Drugs is the national drug policy coordinator. The Delegate’s office is a directorate of the Ministry of Health, Social Services and Equality. It coordinates the institutions involved in delivering the drug strategy at central administrative, regional/autonomous community and local levels. The Sectoral Conference on Drugs facilitates cooperation between central government and the administrations of the autonomous communities and cities. Chaired by the Minister for Health, Social Services and Equality, it is made up of representatives of the central administration and the regional ministers of the Departments of the Autonomous Regions. The Communities Commission on Drugs, chaired by the Government Delegate for the National Plan on Drugs, reports to the sector conference, which is made up of all the deputy directors-general of the Government Delegation and those responsible for the regional drug plans (commonly known as regional drug commissioners). 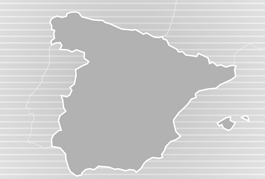 There is a drug commissioner in each of the 17 autonomous communities and in the two autonomous cities (Ceuta and Melilla). They communicate with the Government Delegation through their participation in the Inter-autonomic Commission and the sector conference, and each has an organization that is responsible for the autonomous community drug plan.